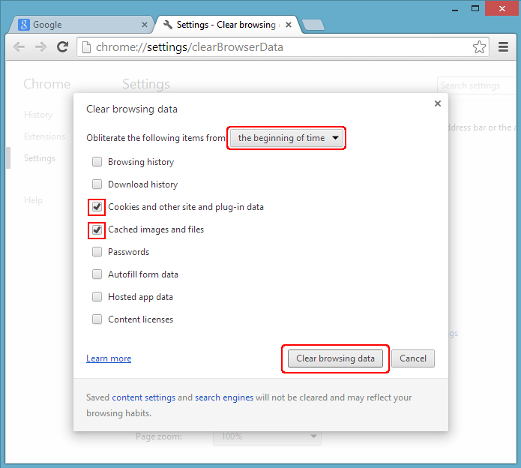 This document explains how to clear the cache and cookies in Google Chrome. 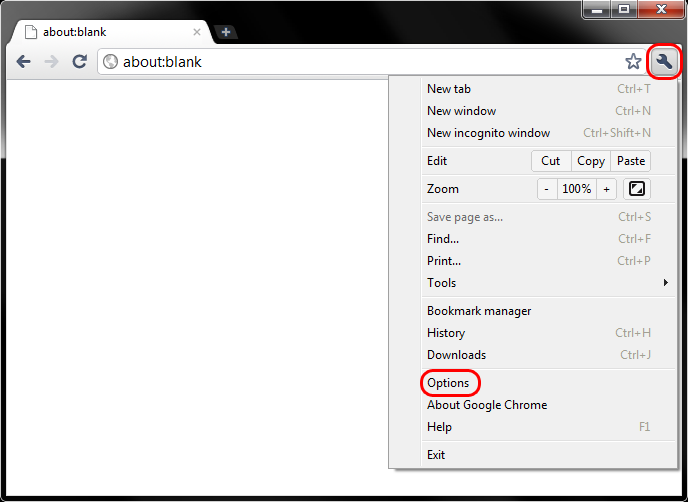 Click on the settings icon that appears to the right of the address bar. In the newest versions of Chrome, this appears as three vertical dots and in older versions will be three horizontal lines or a wrench icon . 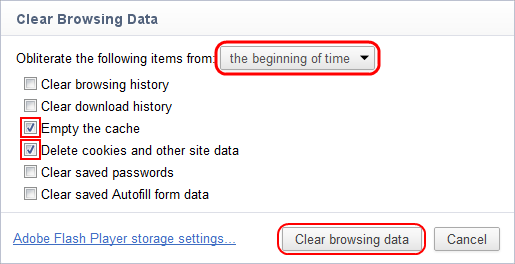 Select All time in the Time range drop down box and click on the CLEAR DATA button. 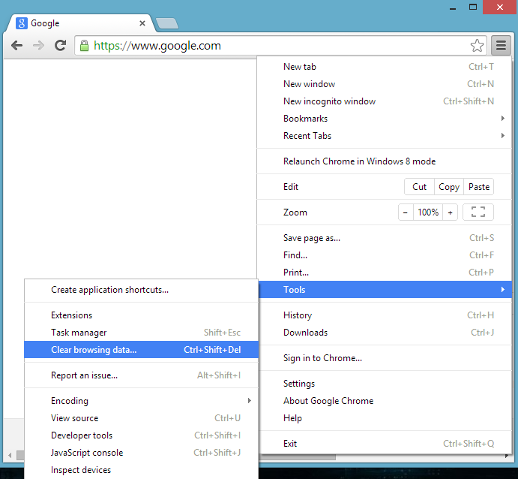 Click on the settings icon that appears to the right of the address bar. In older versions of Chrome, this appears as three horizontal lines and in older versions will be a wrench icon . 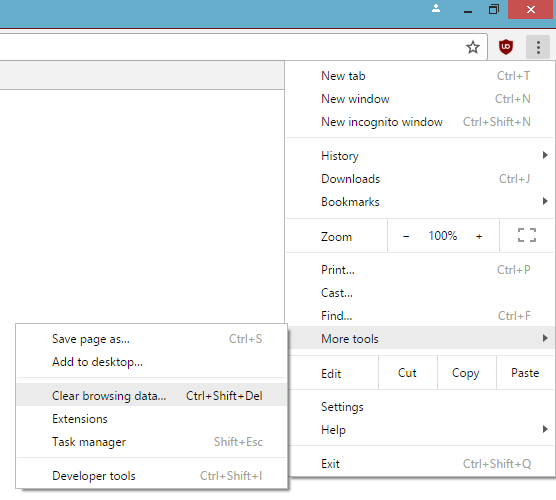 Click on Tools (the wrench icon) > Options. 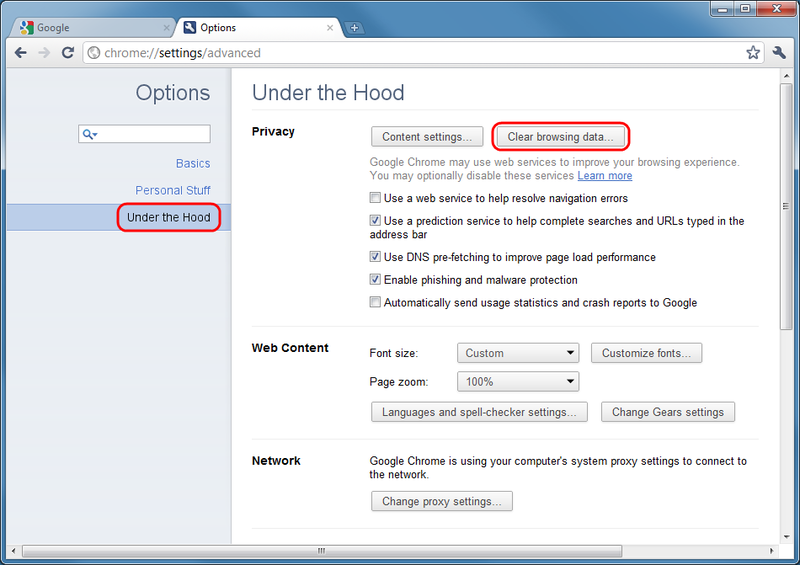 Click on the Under the Hood tab, then the Clear browsing data... button.